It’s been roughly two years since Microsoft released a new Windows Phone, and it looks like the company has basically decided its awful, single-digit market share warrants a reimagined approach which might not come for some time. So it’s a little strange the NYPD, which is so much larger and well equipped than any other police force in the country it’s won ominous comparisons to a full-size army, decided to equip its officers with Microsoft mobile devices. No longer, though. 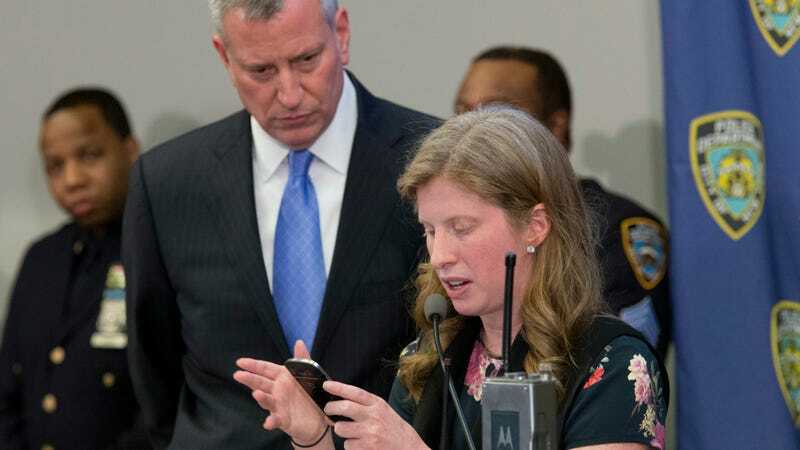 Per the New York Post—an admittedly notorious NYC tabloid—the NYPD has decided approximately 36,000 Windows Phones it bought in the past two years are already obsolete, cannot be upgraded and will need to replaced with iPhones. Microsoft apparently worked with the NYPD to develop a series of seven apps for law enforcement use, including one which automatically directed officers to 911 calls instead of having them routed through traditional dispatchers. But the phones and apps ran on Microsoft’s Windows 8.1, which has since been discontinued, so yeah. There goes the whole thing. The good news, as MacRumors noted and the Post did not, is that the NYPD says its contracts actually procured the phones themselves for free and allowed for them to replace them after two years with any devices of their choice. As a result, the NYPD says it came in at 45 percent under budget.